If you have the vision, commitment, and passion to create a church from scratch, the legal part doesn’t have to be too hard. In fact, there are ten basic steps that you will need to follow to create a church. We go through these steps in this post but first, let’s define a church. The process for a church to get up and running is similar to any other nonprofit organization. Churches are not required to become legal entities or to file for 501(c)(3) tax-exemption status. We will explain why below. First, begin this process by thinking of names for your new church. You may already have the perfect name in mind, but try to come up with a few alternatives in case the one you want is not available in your state. Each state has a different way of tracking name availability. If the name is available, that’s great! You can move forward to the next step. If your name isn’t available, all is not lost. You will need a unique corporate name for filing with the state, so you have the opportunity to find another name that fits your church. Once your name is set, it is time to establish your church’s board of directors (sometimes called a church council or deacons). Legally, churches are considered nonprofit organizations. That means, no one individual can own or operate a church. Instead, churches and other religious organizations are run by a team of individuals called “the board of directors.” Each board member volunteers his or her time to make big-picture decisions for the organization, hire its staff, and oversee operations. As you assemble your church’s board of directors, choose people with diverse backgrounds, skill sets, and communities. Most importantly, make sure that everyone you choose for your board shares the same basic vision for how the church will operate and what kind of community you want to create. Write a statement about why you want to start this church. Start by writing down the tenets of your new church, as you see them. Share this statement with others on your board of directors for feedback. Together, you can begin crafting the tenets of your new church and the core beliefs you share. ● What activities will the church undertake? ● Where and when will church services occur? ● What are the core beliefs (statement of faith)? ● How will money be raised (estimate expenses for the next three years)? With a name, a vision, and a board of directors in place, legally establishing your nonprofit religious organization is the next step. This is necessary to establish a boundary between your own personal liability and that of the church. A distinct legal entity prevents any of the church’s debts and liabilities from being enforced against your own personal assets. In most states, a nonprofit organization can be incorporated simply by filing Articles of Incorporation, although the incorporation process is relatively simple, it is essential to get right. That’s why we recommend contacting us to handle the church formation process for you - schedule a FREE 15 min. consultation to discuss your needs. Bylaws are an organization’s operating manual. They do not need to be filed anywhere because they are an internal description of how the organization will run. However, it is still essential that they be completed and discussed by the board before the church begins operations. The bylaws will help establish the internal management of the organization as well as provide procedures to handle any conflicts that may arise. Even if your church will not be hiring any employees right away, it will still need to obtain an Employer Identification Number (EIN). This is basically the social security number for the church, and it will be necessary to provide to open a bank account, apply for tax-exemption status (if you choose to do so), and much more. Before you begin handling any money for the church, make sure to open a separate bank account in the church’s name. You will likely need the Articles of Incorporation, EIN, and Bylaws to open an account. Keep all church funds completely separate from personal funds of board members, and only use church funds for expenses that serve the church’s purposes. Once steps 1-8 are complete, the final startup task is to hold an Organizational Meeting. This meeting will be the official beginning of the church’s operations. At this meeting, the board will appoint each member, adopt the church bylaws, and elect officers. Make sure that good notes are kept about everything that occurred at the Organizational Meeting. Moving forward, all official church business should be conducted in board meetings. All major decisions, including the decision to open bank accounts, file for federal tax-exemption, create committees, etc. should be discussed and voted upon by the board. While not necessary to the operation of a church, many churches choose to file for 501(c)(3) tax exemption status. This assures donors that their contributions are tax-deductible. However, this tax benefit does come with some trade-offs. To maintain tax-exemption, churches must not conduct political lobbying or attempt to influence political campaigns; engage in any illegal activities; or financially benefit any individual (this requirement does not include reasonable payments for services rendered or property purchased). Click here to download our “Starting a Church Checklist” for starting a church or religious organization. This checklist provides a roadmap for the path that lies ahead. It’s not always easy, but I know you have the drive, commitment, and follow-through to get it done! 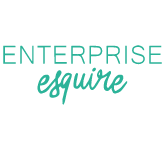 At Enterprise Esquire, we understand, whether you are spreading gospel or delivering souls, business must still be done. If you have any questions about this article or the free checklist, schedule a FREE 15-minute consultation with Alexis Hart-McDowell, Esquire.